We’ve already talked about the gross things that people have found in their food. However, if you thought that was the end of it, then you have another thing coming. 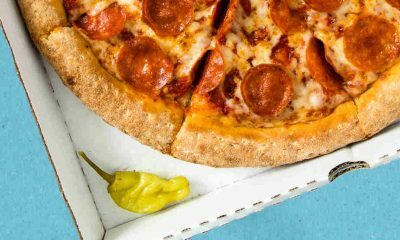 Turns out, there are plenty of gross things that have been found in packaged food all over the world, and some of the might truly horrify you. The problem is, that you can;t stop eating food forever, so every time you purchase some groceries, you’re going to have to take the risk in trusting the store, as well as the food companies, to have done their job and made sure that none of the food has anything weird in it. that can be hard to do sometimes, especially after reading these accounts. However, you have to be brave and press on. Food is an essential part of life. On top of that, there are thousands of food professionals in the world who are out there every day, doing their job to ensure that food is safe to eat and free of foreign objects. However, they can’t do it all themselves, and sometimes mistakes are made. Things wind up in food that shouldn’t be there, and the people who just want to have something to eat are the ones who suffer. 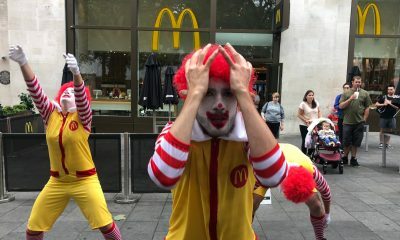 So maybe next time you’re about to take a bite of that fast food burger or have yourself a nice healthy banana, you’ll think twice about what you’re about to do, and take a second look at the food you’re about to eat before it reaches your mouth. These are the top ten grossest things found in food (part 2!). Cake is one of those special desserts that everyone loves. Whether you’re at a party, getting a slice at a coffee shop, or just getting some cake for yourself because you’ve had a long hard day, it’s hard to deny that cake can really lift your spirits. Of course, that’s all dependent on whether or not there’s anything weird going on in the cake. No, we’re not talking about those times when you see a delicious cake and it turns out to have raisins or nuts in it, or, God forbid, it’s a carrot cake. No, we’re talking about something far more terrible than any of those possibilities. What if you were eating cake and there was something in it that shouldn’t be there? That’s what happened to one Birmingham woman back in 2011. She was about to enjoy a piece of cake when she noticed something odd about her piece: something in it was moving. Now, that is not a normal thing to see in a cake, so obviously she investigated further. She then discovered that her slice of cake had a live caterpillar in it! 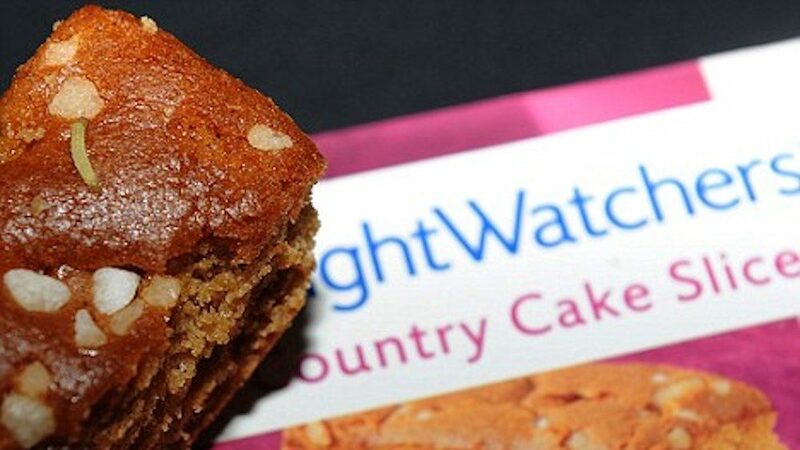 How a live caterpillar managed to get into the cake is still a mystery, but there’s an even funnier twist to this story: the cake was actually made by weight watchers. Yeah, we’re pretty sure that a live caterpillar in a slice of cake would definitely keep us from eating it. Maybe that was their plan all along? 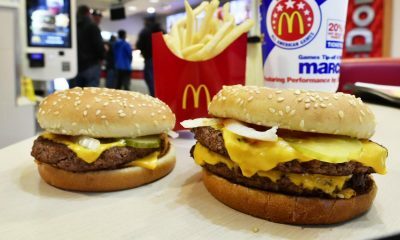 There are plenty of reasons to get a fast food breakfast sandwich: you need something quick on your way to work, you’re trying to cure your hangover, or the most obvious reason: they are typically delicious. There’s just something about the combination of egg, meat, and American cheese piled on top of an English muffin or a bun that just seems to bring out the best in every ingredient. There’s a sense of safety that comes with the breakfast sandwich, as well. It doesn’t have that many ingredients, so you’re not usually expecting the restaurant to put something on there that doesn’t belong. Of course, people make mistakes, and sometimes there does end up being an extra ingredient, and sometimes that extra ingredient is something truly terrifying. No, we’re not talking about pickles or olives. We’re talking about something far more terrible. 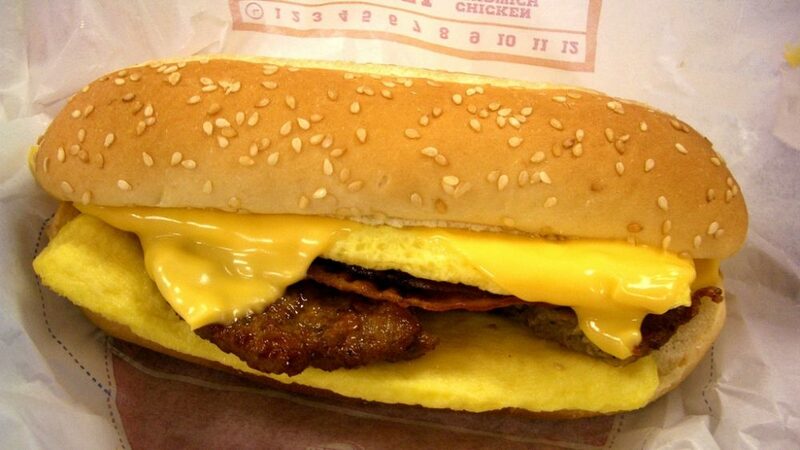 What happened was, back in 2001 a woman ordered a breakfast sandwich from burger king. 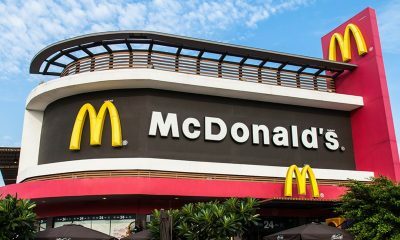 It was one of their classic long breakfast sandwiches, the ones that came on something that looked like a hot dog bun. As she bit into the sandwich, something pointy stuck her in the cheek. She opened up the sandwich to see what was going on, only to discover one of the worst possible things to find in your food: a needle tip from a syringe. That’s right, this woman had been given a needle on her sandwich. How this happened, no one can really say, but obviously she was very worried that she had contracted a deadly virus. Frozen vegetables are pretty much a staple in anyone’s home. After all, they keep for a long time, they’re very handy to use in recipes, and they are just as healthy as fresh vegetables. On top of all of that, they are relatively inexpensive. It makes sense then, that people would generally want to keep a bag of veggies in their freezer. However, those bags of veggies sometimes contain extra surprises. We’re not just talking about a piece of broccoli in your bag of cauliflower, either. It can be much, much worse than that in reality. How much worse, you ask? Come along with us as we tell you about what one family discovered in their bag of frozen vegetables. in 2010, A Michigan couple was getting ready to cook some vegetables in the morning. The man suddenly heard his wife screaming in the kitchen. He rushed in to see what the commotion was about and discovered what had caused the screaming in the first place: a frog had been included in the couple’s bag of vegetables. What was worse was that the vegetables had been thawing in the fridge overnight, so the frog was now also partially thawed out. They immediately reported the issue to the FDA and the grocery store where they bought the vegetables. That’s a pretty gross story, and if you have kids who have trouble eating their vegetables, you might want to refrain from sharing this story with them. They might never touch a vegetable again. Getting more meat on your sandwich than you were expecting is sometimes seen as a bonus. For example, let’s say you order the double cheeseburger at Wendy’s, but they end up giving you the triple at no extra cost. That would be a pretty huge win. Another example would be getting chicken nuggets and finding extra nuggets in your box. 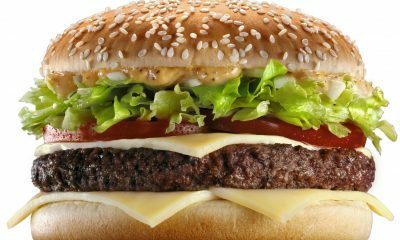 Basically, how could extra meat ever be a bad thing? Well, rest assured that sometimes when you’re not expecting there to be some extra protein on your sandwich, it can be pretty disconcerting to find some. Especially if that meat happens to come from an outside source. 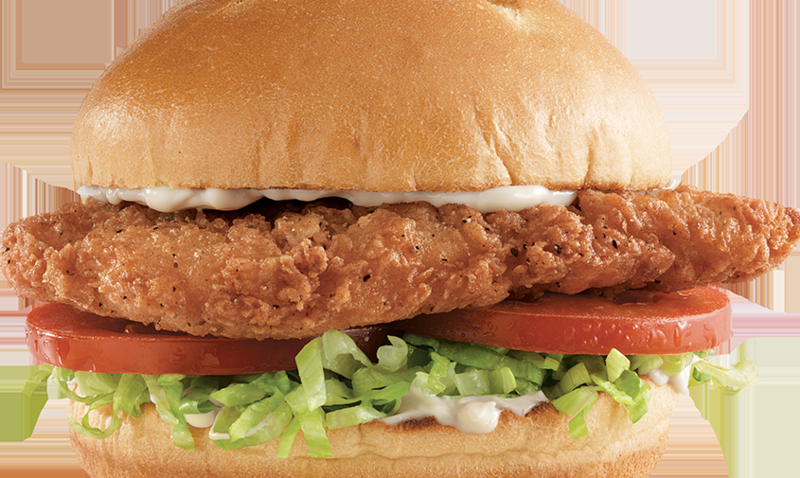 Back in 2005, a Florida man went into Arby’s and ordered a chicken sandwich. 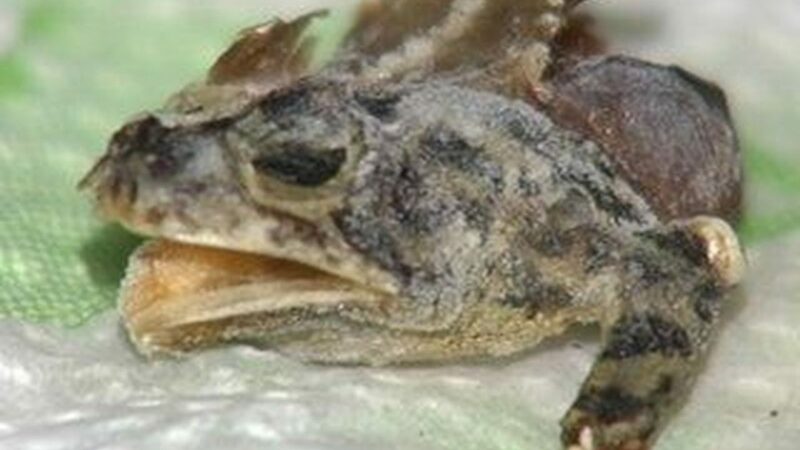 He began enjoying his meal but soon came across a weird texture in his sandwich. Now, a weird texture in any food is already a warning sign that something is not right, but this story is about to get a whole lot worse. The man opened up his sandwich and found one of the worst possible things that could ever be included on a sandwich: human skin. He immediately took the sandwich back to the restaurant, and horrifyingly discovered the manager nursing a cut finger. Turns out he had cut his finger while slicing lettuce and had just continued serving it anyway. Now that is some truly terrible leadership, right there. Hopefully, the guy was fired and banned from Arby’s, because that is truly gross. Bananas are one of the most popular fruits in the world. It’s no question why: they are tasty, packed with nutrients, and come in their own convenient carrying case. You can put them on cereal, make banana splits, throw them in smoothies, and even use them to make fancy desserts like bananas foster (which is super fun to make because you get to set it on fire!). Why would there ever be any reason to stop eating bananas? Well, you’re about to find out why someone might be hesitant to ever buy a bunch of bananas. 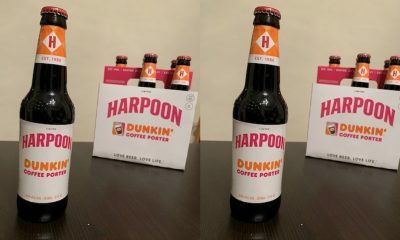 This story is luckily not about anyone eating something they shouldn’t have eaten, but rather finding something truly terrifying in their grocery purchase. In 2014, a British woman had just picked up a nice bunch of bananas at the grocery store. These were the kind of bananas that come in plastic packaging, likely to ensure freshness for the long voyage from Costa Rica, where the bananas originated, to the UK. 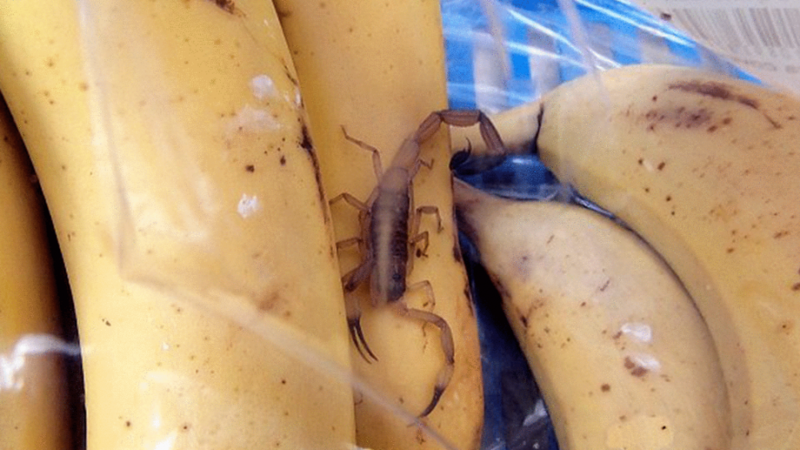 While the woman was putting away her groceries she saw one of the most terrifying things imaginable in her bag of bananas: a three-inch long scorpion! What was even worse was that the venomous arachnid was still alive! Somehow it had made its way to the UK all the way from its native country and hadn’t died along the way. The woman who discovered the scorpion proved she was braver and more charitable than anyone in the same situation when instead of killing the incredibly horrifying bug, she took it to a zoo so they could keep it alive. Cheese is wonderful. We all know it. You can make almost any dish better with the addition of some melted cheese. Pizza, burritos, pasta… All of the best foods have cheese on them. Even cheesecake is a delicious dessert! Somehow, cheese transcends all other foods to become something wonderful: something that can be great on its own, but can also elevate the flavor profile of any dish that includes it. So it is really sad to hear that even cheese, that most glorious of foods, can be tainted with something disgusting. However, it is the truth, and it must be shared with the world. 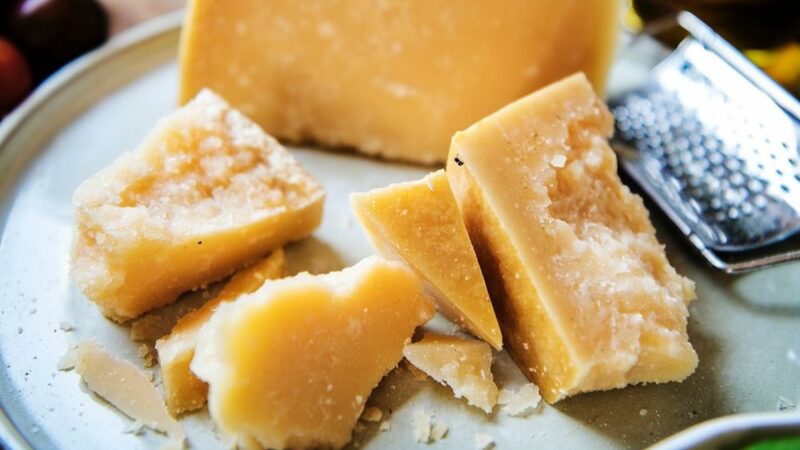 Here’s how it went down: a UK woman had purchased a block of cheese from a major supermarket chain. She had then taken it home, obviously to enjoy the cheesy goodness of it. However, those plans were sent flying out the window when the woman discovered something truly horrifying in her cheese: a tooth. And not just any kind of tooth: a human tooth! That’s pretty terrifying, to say the least, but the story takes on an even more ironic and crazy wrinkle. As it turned out, the woman had just been at the dentist before buying the cheese. It sounds to us like someone put some kind of curse on this woman. Hopefully, she can go the rest of her life without discovering another tooth in her groceries. When it comes to convenience, there’s no food more revered than instant noodles. These things are supremely easy to make, and they come in hundreds of different flavors. They can even be eaten raw as a snack. You bust up the noodle block, open the bag, pour the flavor packet in, and shake. Boom! Instant snack. Instant noodles are so ubiquitous that they have even become the new currency in prisons. Instant noodles are yet another food that is considered a safe option. After all, what kind of surprises could there really be in a pack of noodles, right? Well, as it turns out, some instant noodles can really be hiding some terrible and disgusting surprises. That’s what happened to one unlucky young girl and her mother when they tried to make a quick package of instant noodles. Now, this particular brand was not the dry kind, so they were just supposed to be microwaved in the package. 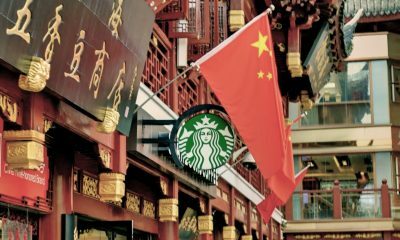 However, once the young girl emptied the package into a bowl, she noticed that her noodles had an extra ingredient: a whole bunch of maggots. Naturally, the girl and her mother were horrified and disgusted. They took the package back to the store and were refunded for the package. However, as compensation, the store also offered an extra quarter. That was it. 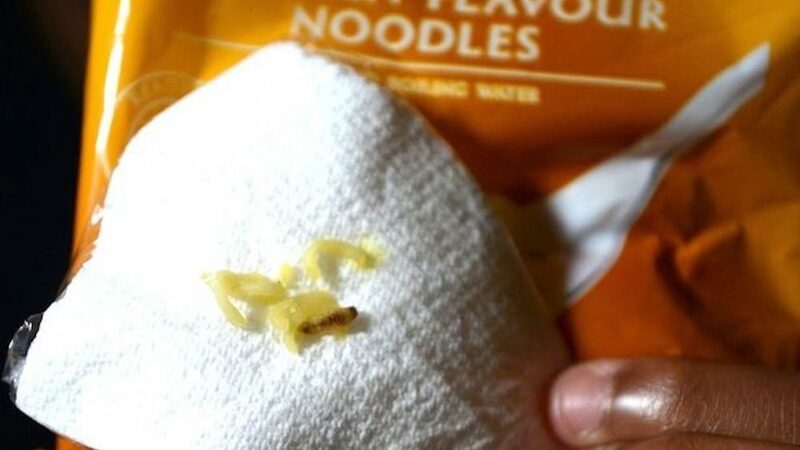 Call us crazy, but we think finding out your noodles are full of maggots is worth a lot more than 25 cents. 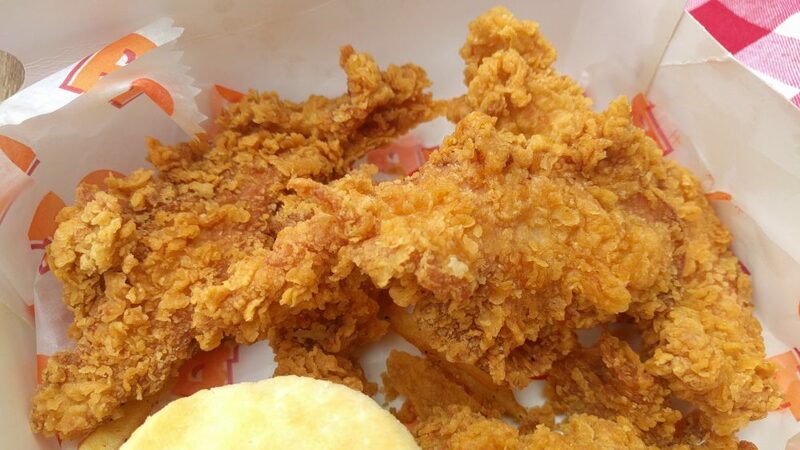 There may be nothing so great in this world as a good box of fried chicken. These delicious, fried, pieces are perfect on their own or paired with your favorite hot sauce. The reason fried chicken may be so beloved is that it is predictable. That’s not an insult. Sometimes the best food is so good because you know exactly what you’re getting. With fried chicken, there are rarely any surprises. You just get to eat some delicious chicken and enjoy your day. Unfortunately, that is not always the case. On rare occasions, a box of fried chicken can end up being supremely terrible, as it did for one gentleman back in 2003. As this man was enjoying his meal from Popeye’s, he noticed that one of the chicken pieces he had bitten into had a weird taste. On closer examination, he noticed that this piece of chicken didn’t resemble chicken at all. In fact, it looked more like a mouse. Spoiler alert: it was a mouse! This story might have turned you off from fried chicken altogether, but rest assured this was an isolated incident. The man who had taken a bite of deep freid rodent was informed that this particular Popeye’s location had been shut down several times before for serious health code violations and rodent infestation. Our bet is that this guy started going to KFC for his fried chicken instead. There’s nothing quite as sweet and satisfying as a mandarin orange. These cute little citrus fruits are the perfect snack for a cold winter day, when they are typically in season. They are sweet, juicy, easy to eat, and perfect for almost any occasion. There’s almost nothing that could get people to stop eating mandarin oranges. The key word there is “almost,” because the truth is that there are sometimes unpleasant surprises waiting in your fruit. We’re not just talking about seeds or those orange segments that are really dry and have almost no flavor. 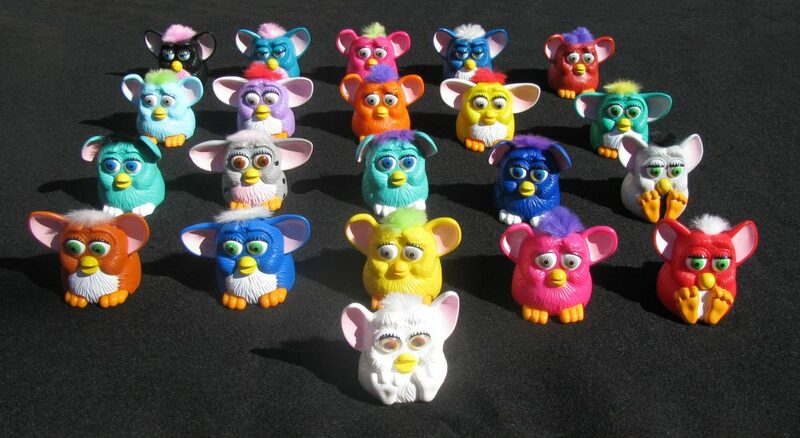 those are bad enough, but let’s be honest: things can get a lot worse than that. For example, this story of a truly terrible discovery inside of a mandarin orange. This occurred in 2014 when a UK man was helping himself to a sweet and tasty mandarin orange. At least, he thought it was going to be sweet and tasty. As it turns out, however, this was not the case. In fact, this mandarin orange was the furthest possible thing from sweet and tasty. The man peeled his orange and immediately noticed a bad smell coming from it. That right there is already a red flag in terms of fruit. However, he pressed on, opening the orange up to see what was going on inside. What he discovered might turn your stomach. Inside of the mandarin orange was a black larva surrounded by hundreds of white, slimy insect eggs. 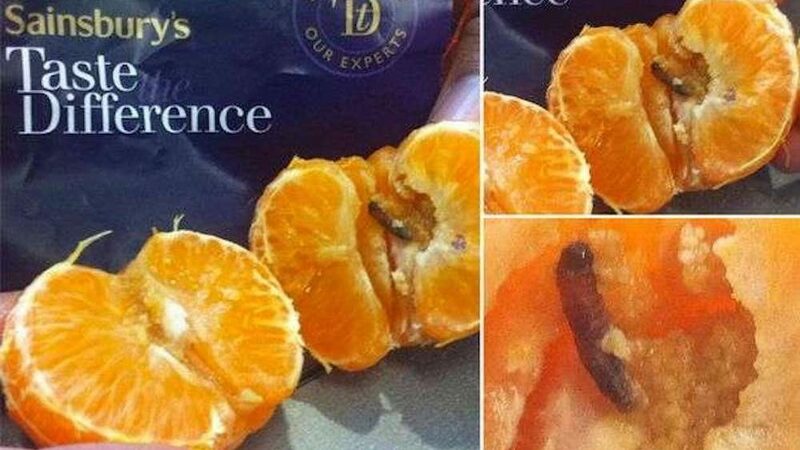 So next time you find a lot of sees in a mandarin orange, just remember that it could be much worse. Vinegar is one of those weird food items that seems like it’s terrible at the outset but has a lot more going on if you really think about it. After all, there are many different types of vinegar, and they can all be used in different ways to make food taste better. The acidity of vinegar is a great way to balance out rich or overly sweet flavors, which means that it’s a great staple to have in anyone’s kitchen (not to mention that white vinegar can be a powerful cleaning tool). Because vinegar is so acidic, it’s safe to assume that it can never really go bad. Not only that, but it can actually act as a preservative, which is what is going to make this next part so shocking. Back in 2014, a UK woman had purchased a bottle of malt vinegar at Tesco. She had just sat down to enjoy some fish and chips with her kids, and they were happily applying the malt vinegar to their meals. That was when she made a terrible discovery: there was something inside the bottle of malt vinegar. The woman said that it almost looked like an alien, complete with a growing head. 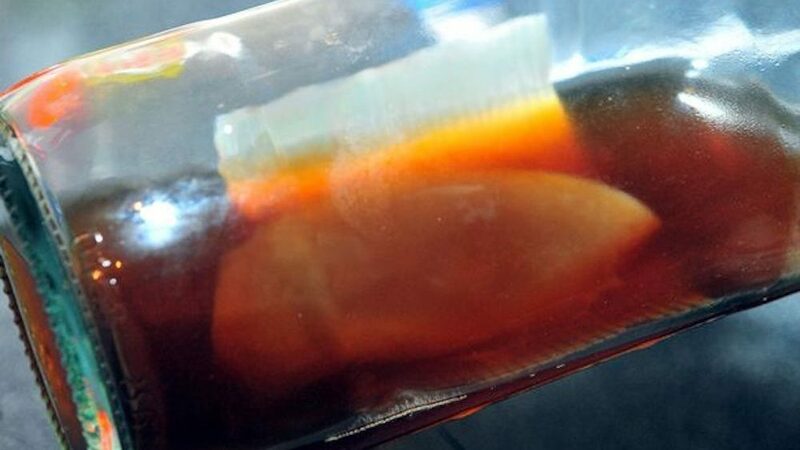 Naturally, the disgusted woman took the vinegar back to the store, where employees reportedly gagged over the sight of the mystery lump in the vinegar bottle. What was worse was that no one seemed to be able to identify the mystery growth in the bottle.